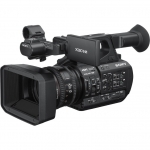 Sony PDW-F800 camcorder just 335 hrs/ HDVF-20A VF/ Canon HJ9x5.5 Lens, batteries/charger & Plate. Sony PDW-700 with Canon HJ22x Lens. Just 438 laser hrs. 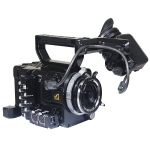 **SOLD** Panasonic AGHPX302EN Camcorder just 450 hrs + Fujinon Lens & Accessories see below. "As New" condition - Meticulously looked after. Sony PMW-F55 Just 300+ hrs, V9 Firmware , Dvf-l350 viewfinder, 2x BPL75 Batteries, 2x SxS 128GB Cards & Shape bundle rig..
Sony PMW-F55 CineAlta 4K Digital Cinema Camera with VF and Accessories incl. rails, slick and handle + more. Panasonic Varicam Super-35mm 4K camera System. Excellent condition.. Just 411 hrs. Price Negotiable Please call if interested. Selling a Canon 7d with Hot Rod PL Mount. Evf has been removed. The PL mount is built in and can not be easily removed. Camera has minor wear and tear. Has only been used a small amount over the last few years.